Inbound marketing is a method of attracting new prospects to your business and nurturing them into becoming customers by providing them with helpful answers and solutions at every stage of the Buyer’s Journey. It’s about meeting your potential customers where they are—whether they’ve just realized they have a need or have spent months researching their possible solutions—and providing value. Because of that focus on prospects’ needs, the inbound methodology helps businesses generate more qualified leads, and therefore more sales, as well as identify important metrics that help them gain a clearer understanding of the return on investment for their marketing. 1How Does Inbound Marketing Work? 3Does Inbound Marketing Bring More Sales? Regardless of industry, brand, or audience, there are four basic stages of the inbound marketing methodology and they haven’t changed since HubSpot founders Brian Halligan and Dharmesh Shah coined the term in 2010. AttractProvide helpful content via your website or blog that is optimized for the terms your target audience is searching for. CloseTurn those leads into customers by nurturing them with email marketing, other valuable content, and ultimately sales conversations. DelightMake your new customers want to become promoters or evangelists of your brand by providing exceptional customer service and making sure their experience with your company is one they’ll want to recommend to everyone they know. Inbound marketing tactics include everything from content marketing and social media to technical SEO and UX optimization, email marketing, video, and even digital advertising. Whatever the specific methods, the point is to provide value to your potential customers and develop a relationship with them long before they’ve made a purchase, then continue that relationship long after. Raka has been helping b2b and b2c clients achieve business goals with inbound marketing since 2012. Our strategic process helps companies understand their target audiences, and then develop marketing campaigns and initiatives to deliver on concrete revenue and sales metrics. The companies and brands we work with have distinct target customers and defined business goals, and our strategies are tailored to address those needs. Put simply, inbound marketing helps businesses to strategically generate new, qualified leads that marketing and sales teams can nurture and convert into more customers. Inbound tactics like blogging, social media marketing, and search engine optimization help bring more traffic to your website, where smart utilization of high-value content and strong calls-to-action can turn those visitors into new leads. 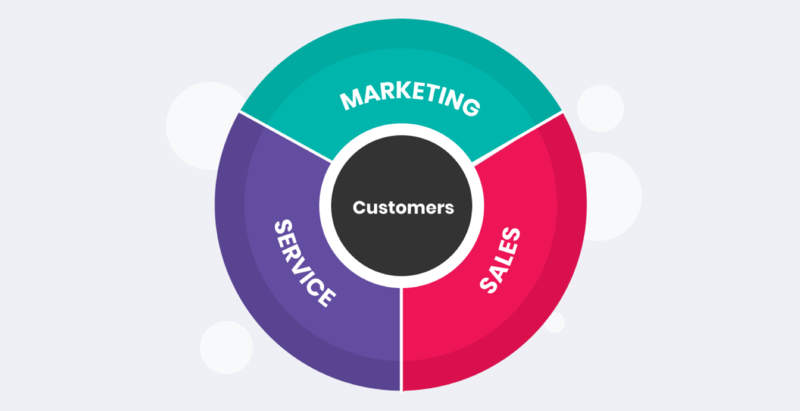 For traditionally sales-driven organizations, the inbound methodology can make your sales reps’ lives easier by identifying who the right kinds of customers are, how much those customers are worth to your business, and what questions those ideal customers need to answer when they are looking for a service provider or product solution. Inbound marketing is about more than just attracting more traffic, however. The inbound methodology helps companies plan strategies to attract best-fit customers. These strategies include answering questions and delivering value by creating original content that people can find with Google and other search engines. Marketing teams usually deliver that original content via blog posts, podcasts, downloadable guides, social media, webinars, video, and other media. Inbound can help build a brand, target a niche market, or give greater visibility into what’s working–and what isn’t. At its core, the inbound methodology is about focusing on a customer’s or prospect’s needs and delivering value at each stage of their buying journey. Many marketing teams that have not fully embraced inbound marketing use a variety of inbound tactics including advertising, search engine optimization, social media, and email marketing. By diversifying tactics, marketing teams strive to increase their chances of success, but often lack a cohesive way to figure out if those efforts are working. Marketing teams that succeed with inbound marketing are able to plan holistic and measurable tactics. For example, by understanding the lifetime value of a customer and then creating a campaign that tracks how social media, a content offer promoted at a trade show, online advertising, and follow-up email marketing all work together, inbound marketers get a much clearer picture of what their return on investment is and how effective their efforts are. We really like exceeding goals. Companies that use inbound marketing software get up to three times as many websites visits and nearly four times as many leads. Nearly half of all buyers view up to five pieces of content before engaging with a sales representative, according to online marketing website Demand Gen Report. Additionally, inbound marketing software can help companies gather a history of how each lead interacts with your company’s website or online properties, such as social media and email marketing. Planning your website’s design, marketing content, and functionality to attract the leads you want and then to nurture them until they are ready to talk to your sales team helps boost your results. When implemented correctly, the inbound methodology provides business leaders with a clear picture of where leads come from and how much it costs to acquire them. Inbound marketing will help your business or organization attract more visitors to your website. What about visitors who aren’t ready to buy? Or those who aren’t ideal customers? Sales and marketing teams can filter strong prospects from casual searchers with qualifying offers that use permission marketing, such as a form submission. By gauging a visitor’s level and area of interest by offering help that requires filling out a form, your website becomes a lead-generation tool that helps separate real buyers from unqualified leads. Lead scoring is another element of inbound marketing that gives businesses a way to identify good prospects based simply on what you know about them and how they’ve interacted with your website, email marketing, or other online marketing. Lead scoring automatically assigns point values for prospect criteria such as their budget, job title, content downloads, email click-throughs, region, or even company name and website address. By creating this automatic scoring system, your website and marketing automation tools create a sales and marketing funnel to filter your website visitors into buckets of casual searchers, potential prospects, and hot leads ready to talk to your sales team. The inbound marketing approach is different from traditional advertising and marketing (or outbound marketing) because inbound is not about disrupting somebody’s life to get them to listen to your sales pitch. Instead of unleashing a barrage of TV ads, telemarketing, or direct mail, modern marketers can use the power of the internet to deliver the type of information your target customers are searching for at the very time they need it. Inbound marketing is focused on understanding what your ideal customers need and then delivering it to them in the way that is easiest for them to find. Where outbound marketing wants to interrupt, inbound marketing is based on opt-in permission. Instead of direct mailing 10,000 people on a purchased mailing list, inbound marketing draws in people who actually want to share their email address so you can give them more helpful information. It’s about responding to what your prospects want and connecting with them where they want to connect with you. Studies have shown that less than 10 percent of viewers consistently watch online video and TV ads. This simple stat represents a serious shift in focus for sales and marketing teams from brands and features to customers and benefits. Marketers now have access to vast quantities of data available that didn’t exist 30 years ago and inbound marketing gives businesses the power to leverage that data. Consequently, the days of tossing one message out to a mass audience and crossing your fingers are over. You’re now able to communicate with potential new customers on a more segmented basis, or even in one-to-one relationships, empowered with increased knowledge of who you’re talking to and what they need. To be an inbound marketer is to be constantly inundated with information, including an ever-changing list of key terms. Keeping up with the lingo can be tough, but it’s necessary if you want to stay ahead in the dynamic landscape of digital marketing. Enter our Raka Inbound Marketing Definitions, where we give you the skinny on inbound marketing terms and why they’re important. For busy marketers, downloading our inbound marketing definitions guide can give you a handy reference as you explain inbound methodology and ideas to your internal team or your company’s leadership. Be sure to check back often as we update our definitions! Technology aimed at automating repetitive tasks and data collection in marketing contexts. A link, image, or button designed to get your audience to take a specific, desired action. The metrics and key information, numbers and otherwise, that you use to determine how effective your marketing efforts really are. Any marketing in which you utilize email to reach contacts, leads, and clients with messaging. A way to capture information from a visitor or prospect with the intent of converting them into a lead, this is typically found on your website or a landing page. The art of assigning numeric or letter grades to marketing leads and prospects in order to rank the most important contacts for marketing campaigns. H tags are HTML elements used to help organize a page and determine what readers and search engines should care about. A method of marketing that focuses on creating content to naturally bring potential customers to your company, product, or service. An object-oriented programming language commonly used to create interactive effects within web browsers and track visitor actions. The words or phrases your target audience is using to search for information on the internet, a.k.a. the building blocks of SEO. A page designed for the sole purpose of converting a visitor to the next stage of the buyer’s journey. Any action taken to improve the experience of visitors to your site from mobile devices. An action taken for the purpose of bringing a lead further down the sales funnel toward becoming a customer. Any piece of content put behind a landing page that is given to a lead in exchange for information about themselves. An instance of an internet user visiting a particular page on a website. Leads are considered “qualified” when they reach a certain level of engagement with online content and are more likely to respond to being marketed or sold to. The value attributable to a set of marketing initiatives, divided by the marketing invested for that set of initiatives. An activity done in the name of improving search engine rankings. A webpage users are redirected to after they submit contact information to a form on a landing page. URL stands for Uniform Resource Locator, which is a protocol for specifying resources on the internet. Any piece of content that suddenly becomes wildly popular on the internet. A series of automated actions set in motion by a visitor’s behaviors or contact information. Yoast SEO is a plugin for WordPress that guides the technical optimization of your website content. A buzzword is a word or phrase that is popular at a particular time or in a particular situation. Are You Getting The Most Out Of Your HubSpot Account? Register for a free HubSpot audit with Raka and we’ll help you find ways to increase marketing efficiency and improve your return on investment in HubSpot.